The Macon County Historical Museum collects, preserves, and interprets the history of Macon County. The collection represents the settlement of the communities along the banks of the Flint River, from the first Native Americans to the present day. Exhibits emphasize the period from the founding of the County in 1837, through the end of the 20th century. Visitors -- and those whose families’ lives are intertwined with the stories of the towns that formed on the banks of the Flint -- can learn about places that exist only in memories and faded photographs. A spinning wheel, potbellied stove, butter churn, washboard and stove-heated irons tell a tale of times when it took working dawn to dusk to feed and clothe a family home from a day in the fields. A special exhibit features the Flint River Farms School, one of 13 resettlement projects established during the New Deal era to foster African American land ownership in the United States. Adding machines, typewriters and photos of switchboard operators remind us that rural electrification was not that long ago. Charts and maps show the 50-million-year-old Tallahatta Formation, a marine ecosystem which left fossilized seashells behind on the river bluff. The z-scale model railroad diorama links history to the present. 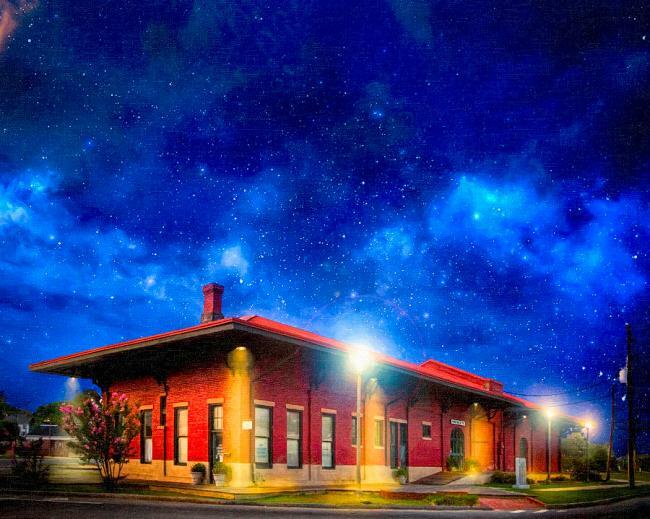 Local heritage is as tied to the railroad as it is to the Flint River and peach farming. Macon County remains a crossroad for commerce just as it was in the days of the trading post, stagecoach and steamboat. A viewing station allows visitors to see live CSX railroad traffic activity. Montezuma's 1890 depot was constructed on the site of an earlier depot. In 1924, a concrete platform was added and in 1932 a brick firewall was built near the center of the building. 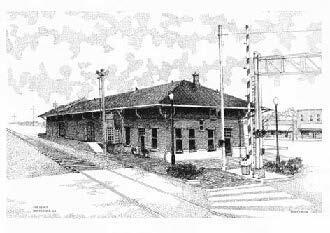 Norfolk Southern Railroad gave the Montezuma depot to the Macon County Historical Society in 1980. The Nationally Registered structure was rehabilitated in 2002 and now serves as the Macon County Historical Museum. Docent services and facility management are provided through the Macon County Historical Society in order to attract visitors. Call (478) 472-2391 to arrange school field trips and other special showings of the museum. The museum is open each Saturday from 10 a.m. until 2 p.m.
Download the Museum Brochure in PDF format.